The presentation took place 14.12.2010. 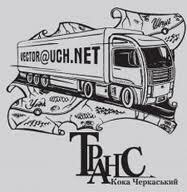 The audio book of Koka Cherkas’ky’s short stories “Trans” was recorded at “Ruthenia” studio and published by the publishing firm “Same tak”. Sound producer – Hryhoriy Lukjanenko, narrator – Kyrylo Bulkin. Audio files from this post can be uploaded from the pages: Audio Archive mp3; Ukrainian Songs, Music mp3. 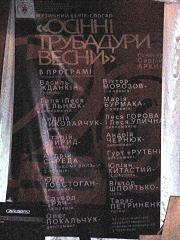 The concert was held in Kyiv in the Writers’ House 27.05.09. The veterans of the song poetry genre as well as representatives of the younger bards generation presented their songs. Those who took part in the 1st “Oberih” (that was concidered to become the start point of Ukrainian song poetry genre) shared their memories about that festival.